Lindsey Nader loves helping her K-5 students in Troy—who have emotional impairments or autism—to learn social skills and access the general education curriculum. 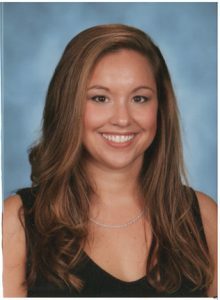 She planned to be a general education teacher after earning a bachelor’s degree in elementary education. But she continued on to get a master’s degree in special education because she knew it would help her reach a greater number of children. She always knew she would value MEA; her father belonged to the International Brotherhood of Electrical Workers, so she heard about the importance of unions growing up. But her appreciation grew after an incident with a parent in her third year on the job.